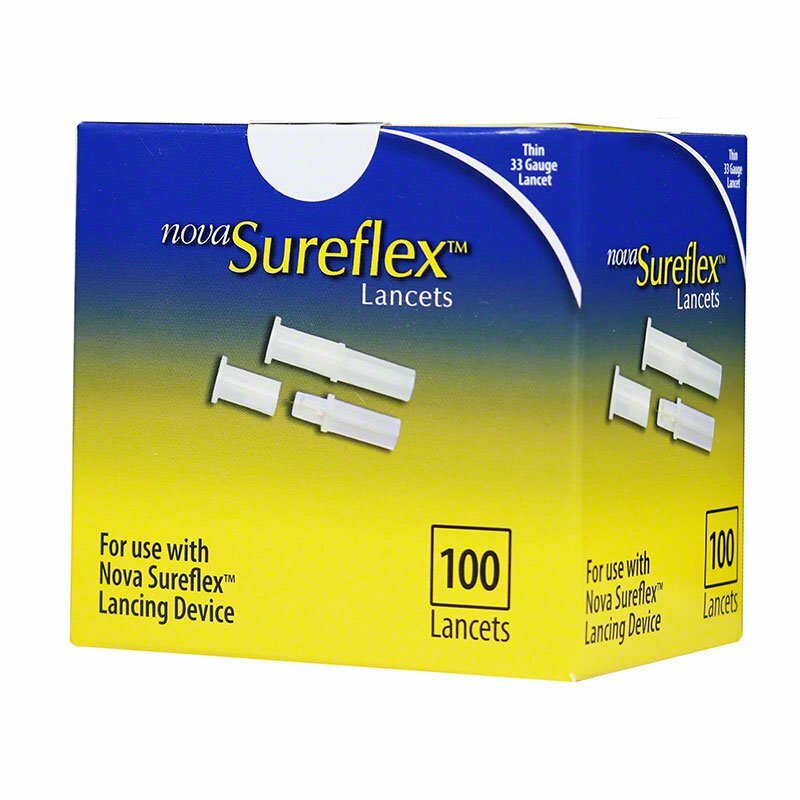 The Nova Sureflex Lancets are made for the Nova Sureflex Lancing Device, and with the 33 gauge design, to minimize pain when drawing blood samples. 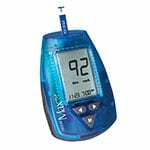 Box of 100 lancets, 33 gauge. 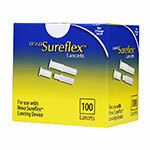 The Nova Sureflex Lancets are made to be used with the Nova Sureflex Lancing Device. They are made for one time use only. 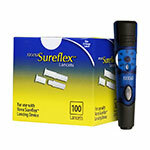 Nova Sureflex Lancets provide quick, safe results! 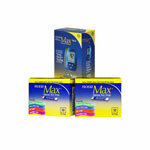 Box of 100 lancets, 33 gauge. 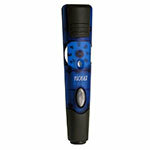 Replace Lancing Device and cap. After use, discard lancet in puncture-resistant container.